The checklists included in this file are warning signs and symptoms that could possibly point to a specific disorder that is causing your child’s reading difficulties. Read more down below. Hi! I have been a homeschool mom of three children for the last 14 years. Before that, I was a school teacher for 9 years. While I don't claim to be an expert, I do have a master’s degree in special education, and I also have a dyslexic child I homeschooled the entire time and have successfully graduated. I spent many years studying and experimenting with different methods and techniques. We used five separate reading programs before I found one that really worked for him. Have you noticed something strange when you try to teach your child to read? You can’t quite put your finger on it, but you know something is off. Why does he seem to keep forgetting that one letter in the alphabet? Why can’t he remember the word “the” when you just went over it so many times in the last few minutes? These are just a few signs of a reading disability. 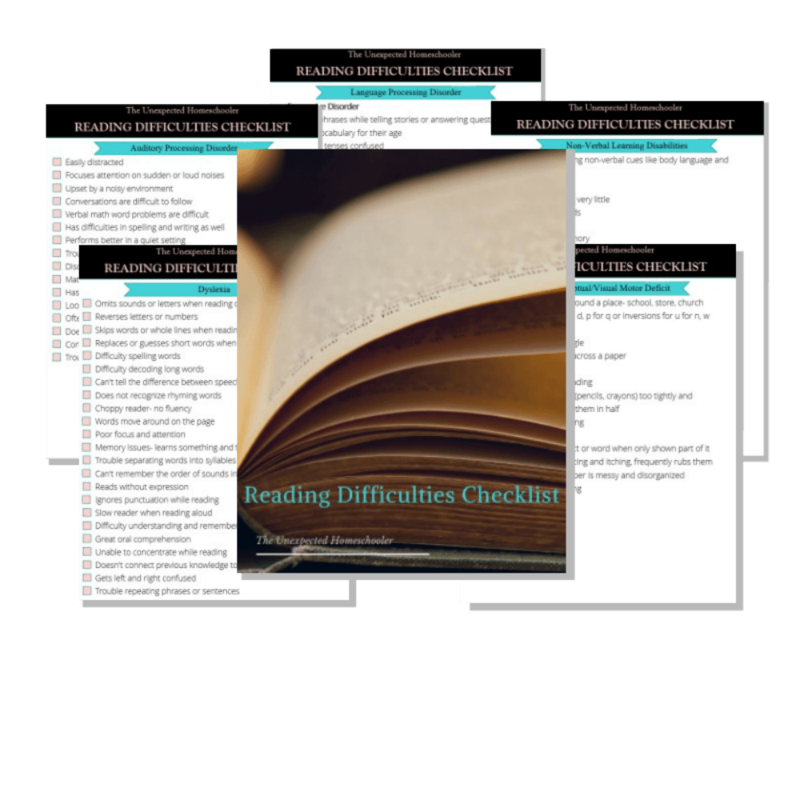 Use these checklists I have created as a guide to help you get an overall view of where your child's weaknesses are and determine if he may have a reading disorder. 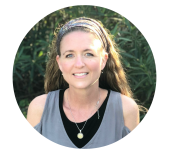 At The Unexpected Homeschooler, I provide the information, resources, and practical solutions to help you overcome your fears and confidently homeschool your children. Start with these checklists and then continue on to my site to learn even more. Thanks for signing up for the checklists! Check you inbox or spam folder for an email to confirm where to send it. A second email will be sent with a link to download the file.